Markets Up? Markets Down? 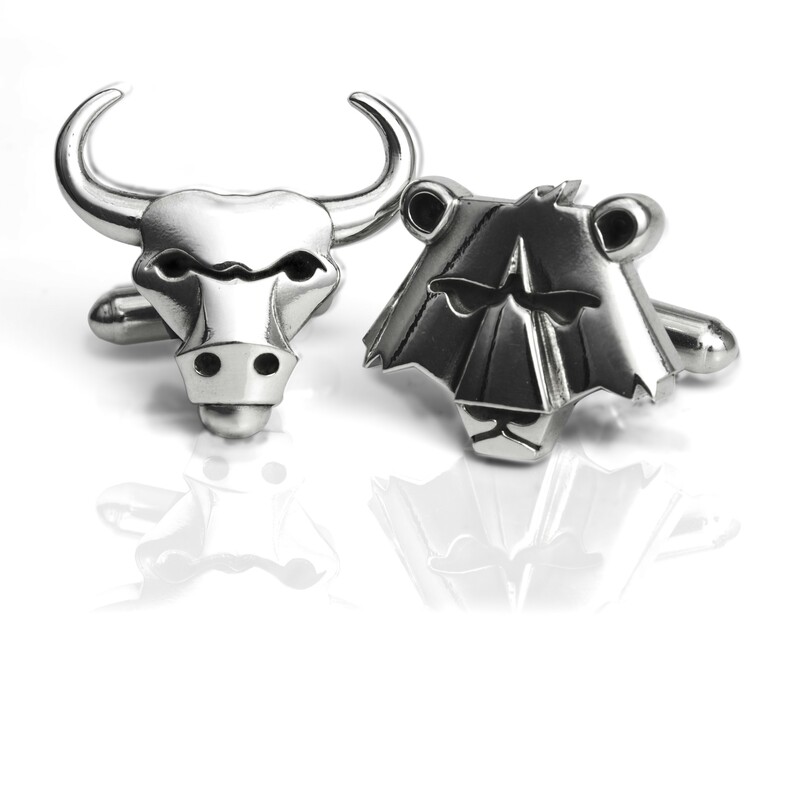 Either way, you'll be prepared with our Handmade Sterling Silver Bull and Bear Cufflinks. Zach, our CAD Designer, picked these cufflinks as his "Studio1098 Staff Pick" this year. As Zach says, "Who wouldn't want to wear two powerful animals on their cuffs? 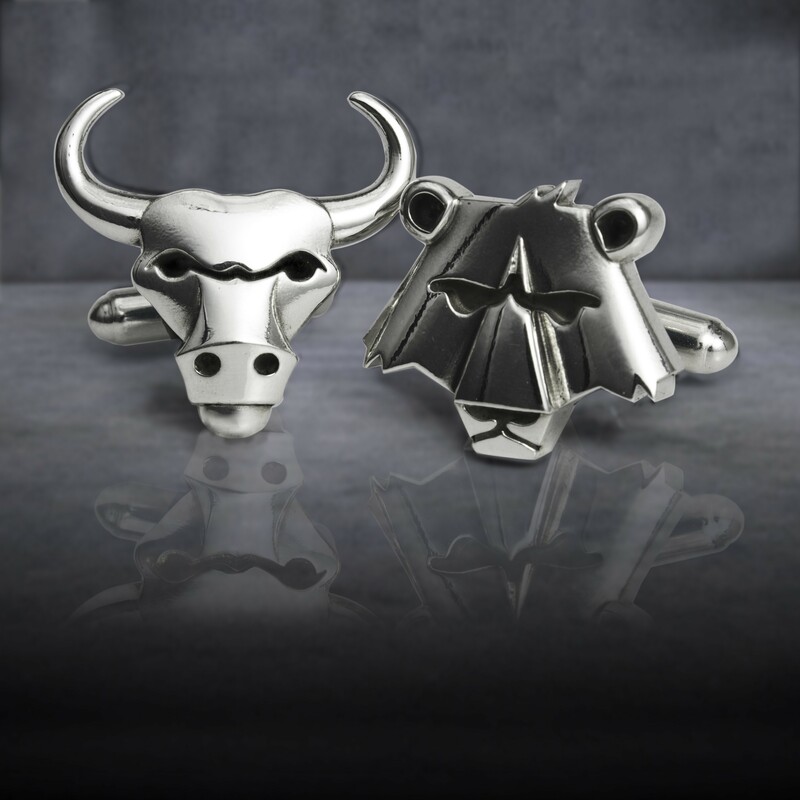 The sharp lines of these cufflinks help to create graphic, strong images that people will be sure to notice." If you're buying these cufflinks, you probably know all about the significance of bull and bear imagery to stock markets, but just in case you don't, here's the skinny: The bull is the symbol of a rising market, while the bear symbolizes a market in decline. The symbolism associated with the bear actually came first according to the sources we consulted, and actually originated in the world of fur trading. There is a proverb relating to trapping indicating that it is unwise to sell a bear's skin before you've actually caught the bear. The person who actually sold the bear's skin was called a bear jobber, which got shortened to bear. Selling a "bear" became a euphemism for imputing value to something that had none, and that carried over into the stock market, referring to stock being sold by a speculator. Follow that? The bull's association with the markets came later, but is much more straightforward. When bulls charge, they are powerful and their horns point up, in the direction the market is heading.